I was pleasantly surprised the first time that I visited Happy Dog. I'm not sure of the history of their building, but I assume that it's always been a bar. 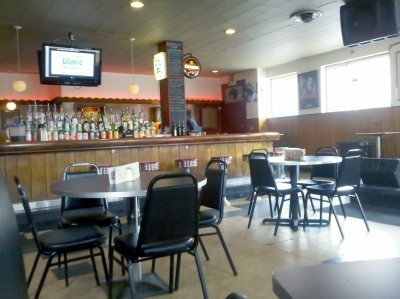 The interior looks like an 'old Cleveland bar' that my dad or grandfather would have hung out in- wood paneled walls, wood bar, old-fashioned bar stools. Pretty cool. When you sit down at Happy Dog, you notice a pad of order slips on your table. You check off what you want and give it to your server- sort of like at a sushi place. 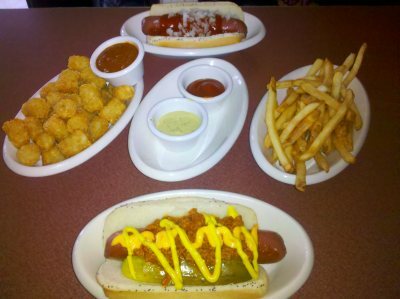 The hot dogs are big, all beef dogs, not some sort wimpy little things. Even better, they're only $5 each, with as many toppings as you like. And, even better than that, the list of toppings is huge. Most of them are made in house, and most are very unique. 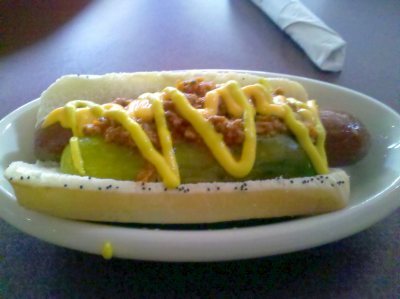 When I visited, I had one dog with chorizo chili, yellow mustard, and a dill pickle spear. I had blue cheese coleslaw on my second dog. Both were awesome. We also had sides of tater tots and french fries with chipotle and creole remoulade for dipping. Even considering that it is a bar, Happy Dog seemed to have a pretty big selection of craft beers on tap and in the bottle. All in all, I'd say that Happy Dog is a great place. I've been there twice, and if you're looking for a cool place to hang out for the evening, or a good place for lunch, I'd recommend giving it a try!